Desserts, bourbons, colas, and ice cream all have one thing in common - the mysterious flavour of sugar combined with a hint of vanilla. Enjoy the distinguished taste of sweet, rich, caramel and make your taste buds do a happy dance. No longer just a treat, you can now enjoy caramel in a vapour. The only thing missing from this caramel flavouring is the calories. Many people are starting to discover how enjoyable it is to try out electronic cigarettes, making this an increasingly popular subject to research. This is because they can provide a smoother overall experience, which will appeal to many users out there. Some long-time tobacco smokers have made the switch, noting that these vaporizers can provide people with the best options for their needs going forward. Since these devices have become so popular, there have actually been a number of new e-liquids released as well. It can help people to review their choices for e-liquids because this can enable them to find the right choice for their needs. Most consumers will be interested to know that these e-liquids can be stocked with different amounts of nicotine. Users will need to find the right strength for their e-liquid to be able to comfortably switch to them. They should test out some of the different nicotine levels, noting which ones might be right for their needs. If they haven't found out the right option, users can simply check out some of the different brands that offer these nicotine levels as well. Sometimes they will have different recommendations for which flavours taste the best. Some people will be impressed by the sheer amount of different flavours that are out there as well. Most long-time tobacco smokers may have tried out Chocolate or Vanilla flavoured cigs at some point, but this will barely scratch the surface of some of the different e-ciggies that are out there for people. There are some companies that will actually offer people a flavour of the month option for their e-ciggies. They will ship out a variety of different e-liquids, which may include options such as Champagne or Strawberry. Consumers should also be on the lookout for the right prices when it comes to getting different e-liquids over time. Many people have been interested in whether they can find a whole range of different options available for themselves. You can find a few different types of bottles that will carry differing price ranges depending on which one you choose. This will be an important choice for anyone who wants to get linked up with the right option for their needs. Comment : I purchased it over 2 months ago and I still use it. It is just perfect. I wish I could get it with nicotine. 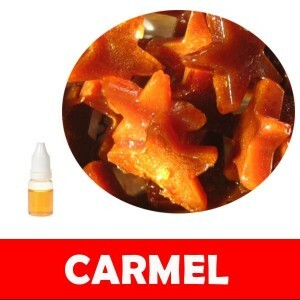 Rating(s) and review(s) : Carmel - Reviewed by : Bob A - Rating 5 / 5 - I purchased it over 2 months ago and I still use it. It is just perfect. I wish I could get it with nicotine.